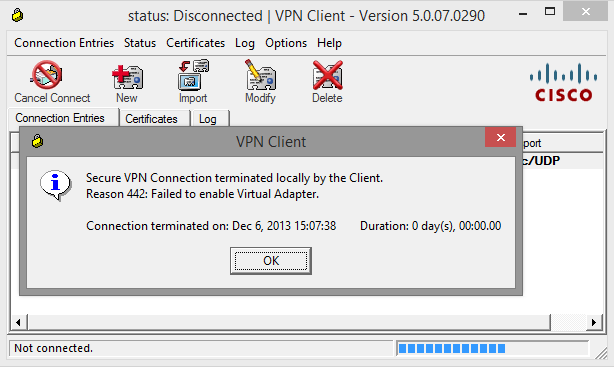 When you install the Cisco VPN client on Windows 8.1 you will likely receive the message “Reason 442: Failed to enable Virtual Adapter.” when you attempt to connect to a VPN. The fix is quick and easy. You do not even need to reboot. Open regedit and browse to the key “Display Name” located at “HKEY_LOCAL_MACHINESYSTEMCurrentControlSetServicesCVirtA”. 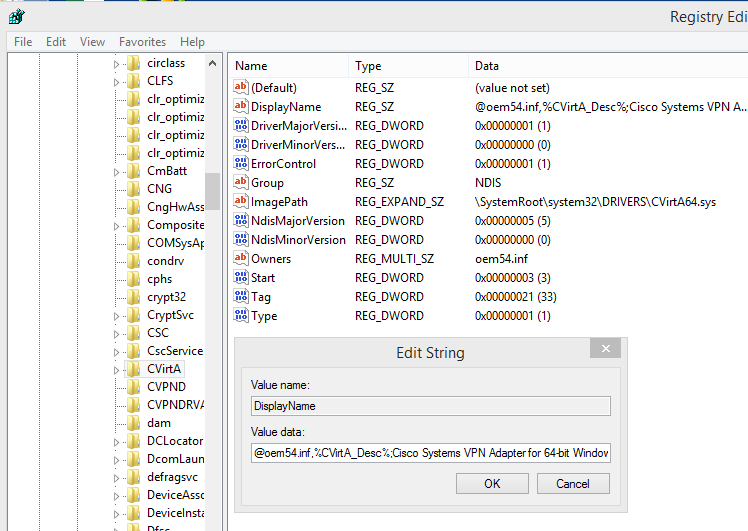 Open the key “Display Name” and the value should be “@oem54.inf,%CVirtA_Desc%;Cisco Systems VPN Adapter for 64-bit Windows”. 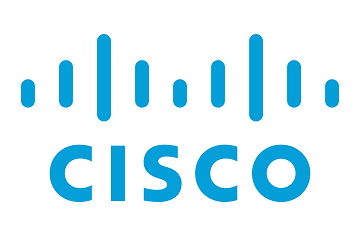 To resolve the error first mentioned you need to edit the key to exclude “@oemX.inf,%CVirtA_Desc%;” leaving only “Cisco Systems VPN Adapter for 64-bit Windows”. Try your VPN connection again and the issue should be resolved.